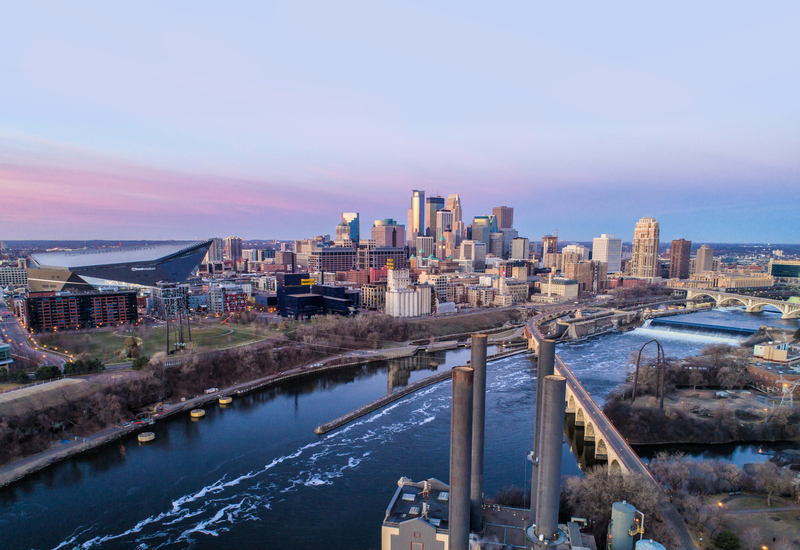 Minneapolis (Feb. 27, 2019) – The Minneapolis Police Department’s First Precinct has been named the “Hospitality Hero” award winner for the fourth quarter of 2018 by Meet Minneapolis, Convention and Visitors Association. The award is given quarterly to a member of the Minneapolis hospitality community who has been nominated by their colleagues. This honor is for an individual or organization that has made valuable contributions to the image and culture of Minneapolis through outstanding hospitality and service. With a 22 percent reduction in overall crime in the precinct for the year, the officers of the First Precinct have kept visitors, residents and downtown workers safer by employing creative new strategies to reduce crime, according to nominator Tim Murray, owner of Murray’s Steakhouse. Several of the successful strategies included: partnering with social service agencies to provide effective help for the homeless; working with YouthLink to help youth receive needed services; and establishing a high level of communications with the downtown community by advising safety groups and hosting livability forums. “The Minneapolis Police Department First Precinct works diligently to provide both the visitors and the locals of downtown with the utmost safety,” said Murray. The First Precinct also works together with Meet Minneapolis in providing a welcoming environment for visitors and convention groups to enjoy downtown Minneapolis. In December, directed patrols kept downtown safe for the 2018 NCAA Women’s Volleyball Championships. More than 23,000 college students, coaches and spectators enjoyed events throughout the city, from Target Center and the Minneapolis Convention Center to team pep rallies at several locations. 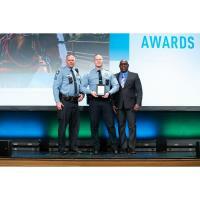 The Minneapolis Police Department First Precinct accepted its Hospitality Hero award for fourth quarter 2018 from Meet Minneapolis at the organization’s Annual Meeting on Feb. 26 at the Minneapolis Convention Center. Pictured are: Minneapolis Police Sgt. Rob Illetschko and Lt. William Peterson with Meet Minneapolis President and CEO Melvin Tennant. Meet Minneapolis is accredited by the Destination Marketing Accreditation Program (DMAP) of Destinations International.